How Does a Turbo Work? If you’re looking for a powerful, long-lasting, and reasonably priced turbocharger for a six-cylinder vehicle, there’s no way that you can go wrong with a HX35 turbo. That’s because the HX35 is one of the most durable turbochargers on the market, and thanks to their widespread usage and availability are among some of the most affordable as well. The HX35 turbo was designed with a variety of different features that set it apart from other products in its class, including its signature wide compressor sides which help improve efficiency. If you’re searching for a turbocharger that offers mid-to-high level performance, is able to fit a range of different vehicles, and is among the best values out there, this is what you’re trying to find. Another great feature of the HX35 is its integrated wastegate. One of the biggest problems with many other mid-level and high-end turbochargers is that they are only designed to operate within specific ranges of engine performance. While this may work well on the track or for dyno testing – in controlled environments – it leaves a lot to be desired during typical usage. But thanks to its integrated wastegate, the HX35 turbo is able to improve fuel consumption and reduce unnecessary emissions under normal driving conditions. Are you thinking about installing a HX35 turbo in your car or small truck? Feel confident in your decision knowing that the Holset brand of turbochargers are among the most reliable in the world. In addition to passenger vehicles, they’re also trusted in a variety of different operations ranging from high-performance race cars to heavy-duty farm equipment. 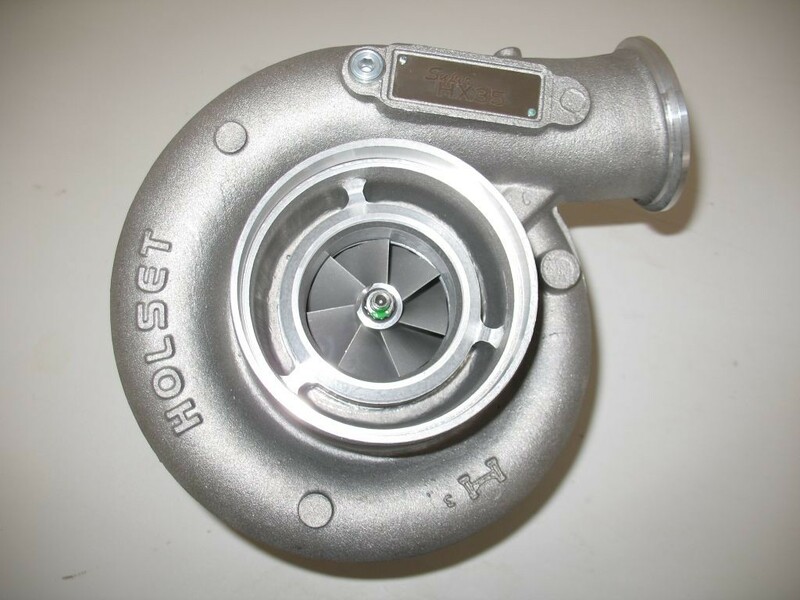 While some other commonly purchased brands of six-cylinder turbochargers are known to fail after just a few thousand miles of use, Holset has engineered their parts to last for the lifetime of your vehicle – if not longer. 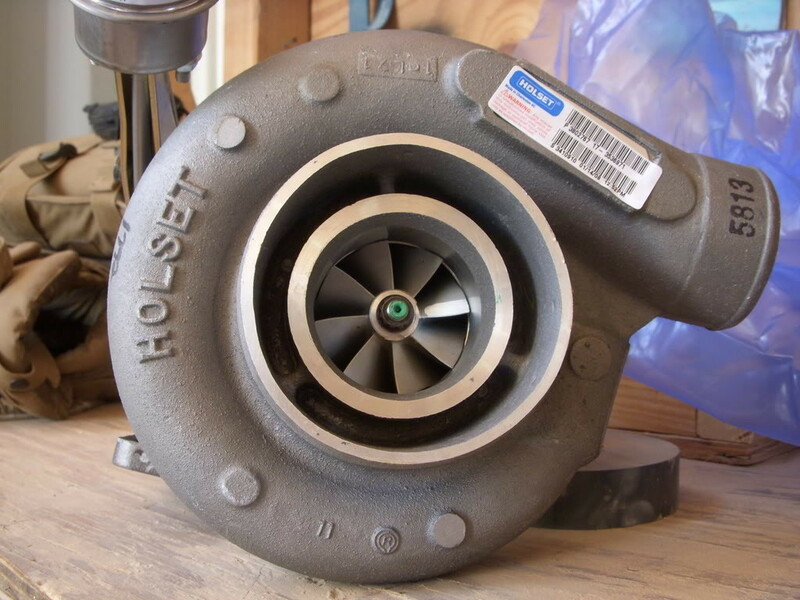 Although the Holset HX35 isn’t the fastest spooling turbocharger out there, its small-frame design allows it to spool very similarly to much most costly ball-bearing equipped turbos. The HX35 is easily found at half of the price of other turbochargers that generate similar output and performance benchmarks. For most vehicles, the HX35 turbo is easy to install thanks to the widespread availability of simple-to-follow bolt patterns and high-quality housings. Also aiding in installation, both the turbine housing and compressor orientation are completely adjusting for a better fit with a greater number of engines. Just by looking at its specs, it’s easy to see why so many people choose to go with the HX35 turbo for their six-cylinder performance needs. But to make things even better, there are a number of additional features and improvements that are available for the Holset HX35 to further boost performance, including a variety of upgraded flanges for the turbine housing and compressor, an optional Map Width Enhancement compressor inlet port, refined baffles with sound suppression, and even water-cooled bearing housings for use in the most high performance applications. This one isn’t really even a question – if you’re looking to pay a reasonable price for a high-performance turbocharger for your six-cylinder vehicle, the Holset HX35 turbo is the obvious choice. For most, the biggest decision is whether to purchase one new, or to find a HX35 turbo for sale used – which is a great option thanks to their reliable long-lasting design and the fact that used turbochargers can be hundreds of dollars less than their new counterparts. Thanks to its small frame, quick spool time, and simple installation, the HX35 is a great fit for the needs of almost all car enthusiasts looking to gain that extra little boost in their vehicle’s performance.